Do you know how many bananas it takes to keep a 600-pound gorilla happy? More bananas than you have ever seen in your life, that’s how many. 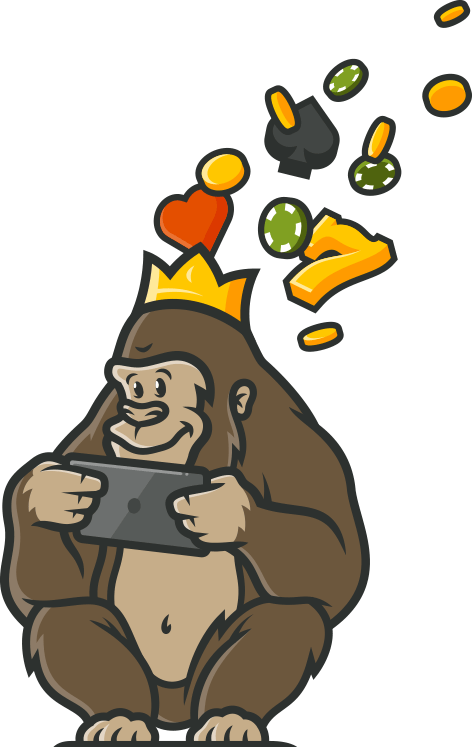 Now, surrounded by the remains of dozens of banana peels, our casino-loving gorilla is ready to turn his attention to the latest online casino. This time around it’s the OrientXpress Casino which has caught his attention. 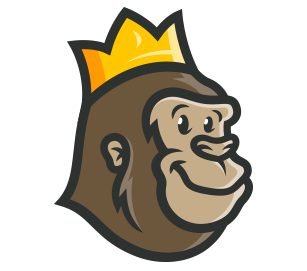 Gorillas aren’t normally welcomed on board the Orient Express train, but this online casino welcomes everybody inside. Let’s find out what our hairy friend made of this modern new betting site. There is a nice welcome from OrientXpress casino in the form of a generous 250% welcome bonus. This is based on your first deposit and is available up to a limit of €500. It is unusual to find an online casino offering such a large percentage as a bonus, and this will certainly attract interest from a lot of players. While the withdrawal requirements are a little steep as we shall explain in the terms and conditions, it is a generous bonus award for new players. If you are depositing at least €500, then you can take advantage of the VIP bonus of 100% up to a maximum of €2,000. Sometimes the OrientXpress Casino will offer bonuses in the form of free spins. These allow you to play selected games on the site for free, with the opportunity to withdraw any profit made. Often free spins are awarded as part of the VIP Loyalty Programme. Any money you win from the free spins are automatically converted to ‘bonus funds’. You must wager this money 45 times in order for you to be able to withdraw the funds. If you have a bonus code you will be entitled to claim a free no deposit bonus. Enter the bonus code to claim your free €11 bonus when you are registering with the site. You should enter the code XTRA11 in the section marked ‘Registration Code’ when you sign up with the site. Note that any no-deposit bonus will have a wagering requirement of 60 times the bonus amount before funds can be withdrawn. This means that to withdraw your free bonus you would have to first play through €660 on games on the site. OrientXpress Casino’s opening bonus certainly offers new players a nice balance to start playing with. When it comes to withdrawing your bonus, there are certain restrictions in place. As with all online casinos, you must play through the bonus a certain number of times before it can be withdrawn – otherwise people would just instantly cash out their bonuses and all the casinos would go out of business! At OrientXpress you are required to wager the sum of the deposit plus bonus 30 times before funds can be taken out. It’s quite a high wagering requirement, and will need a fair degree of luck in order to allow you to withdraw your funds, but at least you will have plenty of cash to try out different games on the site. Bear in mind that blackjack, roulette and poker games will not count towards meeting the wagering requirement. These days we have become accustomed to having everything available and ready to go at our fingertips. This has extended to the world of sports betting, as people like to be able to place a bet any time of day or night. While there are horse races from the other side of the world happening through the night, there can be periods where not much is going on. That’s where virtual sports games come in, as the next race or match is never more than a minute or two away. At OrientXpress you can enjoy virtual tennis and racing games, where you can place your bets and watch the action play out before your eyes – any time of day or night. Live dealer casino games have become hugely popular in recent times, and there is a good selection of them available at OrientXpress Casino. The live games are powered by Extreme Live Gaming, a well known provider. Players can choose to play live dealer versions of Live Blackjack, Live Roulette, Live Baccarat and more. If you are a fan of this genre of casino gaming, you will not be disappointed with what is available at OrientXpress. Most of us prefer to have the option of being able to play casino games from our phones, and with OrientXpress Casino gaming on the go is not a problem. The mobile version of this site features smooth graphics and an easy to navigate interface. You don’ t lose any of the excitement when you switch from large to small screen since most casino games these days are optimised for mobile play. Just log in, make sure that you have a secure and stable internet connection, and you can start playing real money games from your smartphone or tablet. The casino is available on iPhones, Blackberry, Samsung, Windows and all modern Android devices. Deposits and withdrawals are a crucial part of any online casino, and there are lots of options available at OrientXpress. Debit and credit cards (Visa, Maestro and MasterCard) are popular options for many. Alternatively you can use e-wallets such as Neteller and Skrill. Other payment methods available include Sofort, Trustly, and ecoPayz and you can also choose to deposit in cryptocurrency Bitcoin if you wish. Note that there is a minimum withdrawal of €100 in effect, which is much higher than in many other online casinos. The OrientXpress Casino is licensed and regulated in Curacao. Any casinos reputation depends to a very large part on how safe and fair it is perceived to be. Certainly there are plenty of security systems in place to ensure that client money and personal data is completely safe. The 128-bit Secure Socket Layer (SSL) technology ensures that all data is securely stored at all time. Fairness is also a priority here, with the random number generators used to power the games subject to careful scrutiny and audited regularly. This means that you can play here with the knowledge that the games are fair, and you will receive your winnings and be paid promptly. Customer support can be reached via email, telephone or live chat, and is available around the clock. Danish, English, French, German, Italian, Norwegian, Russian, Spanish, Swedish and Finnish language support are all available, and the service is reliably efficient and professional. There is a separate email for VIP customers to use when contacting OrientXpress, and these queries are given priority. The theme of this site is nice and it is easy to get around. The menus offer fast access to my favorite games. The support team is fast to respond and has always been friendly. Easy and straightforward. A wide range of payment options to choose from. I didn’t even have to wait too long for the verification process. They give out a great bonus. With a 250% match bonus on your first deposit. Quite a fun casino.